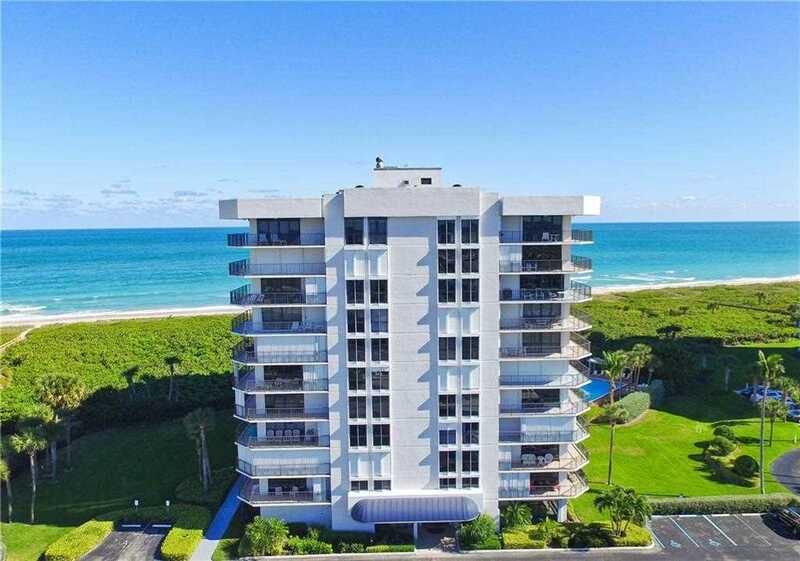 Elegantly refurbished Oceanfront condo-Travertine floors throughout, crown molding. Hunter Douglas shades. Granite counters and wood cabinets in kitchen and baths. Master suite walk-in California closet and frameless shower. BR 2 converted to den. Ocean views and balcony access from MBR, living room and BR 2/den. Pool, clubroom, fitness room, beach access. Close to boat launch, marinas. SchoolsClick map icons below to view information for schools near 2800 N Hwy Highway A1A North Hutchinson Island, FL 34949.